The unique material attracts and captures nearly everything, but saves the water and minerals. Medical waste products and other chemicals are effectivly trapped and can NOT be dumped into the water again even if an occasional increase water pressure should occur! When the cartridge is filled with unwanted substances, it indicates that it needs to be changed. 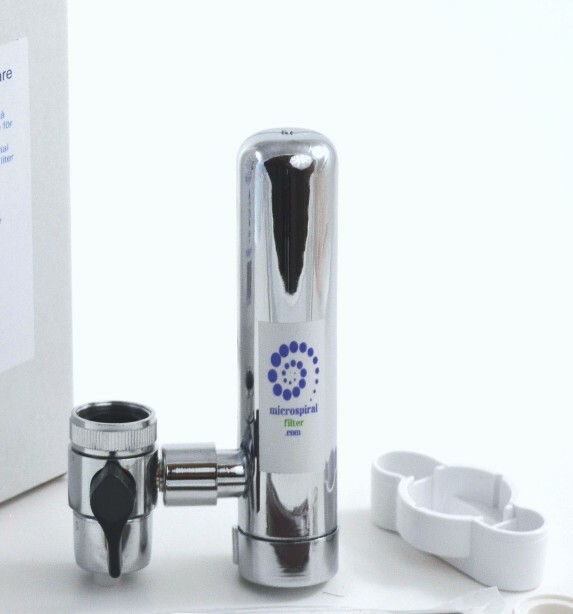 Crome plated shower filter 55€ Provides up to 99% chlorine removal. 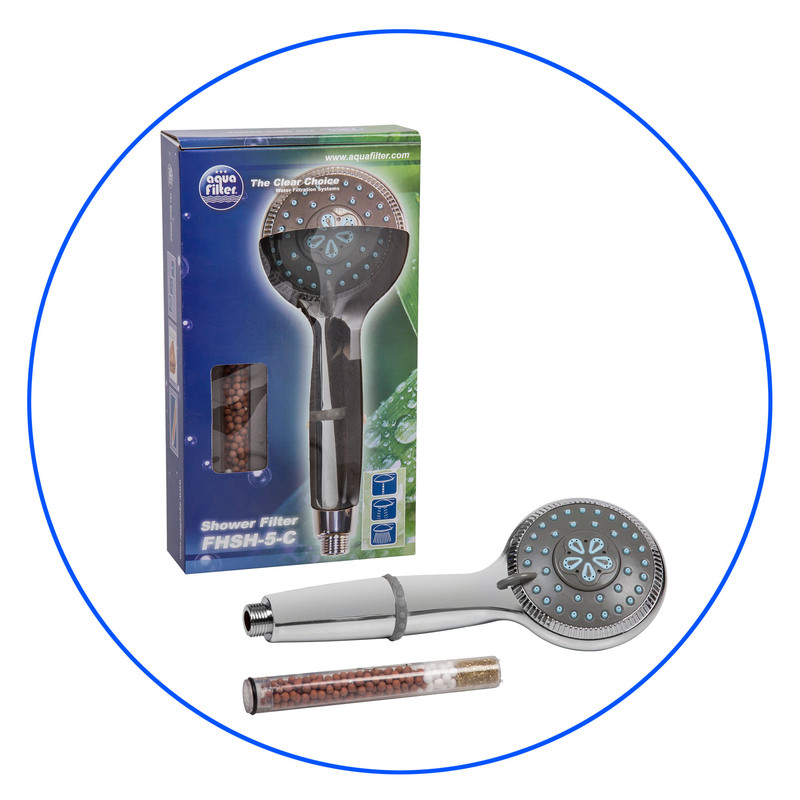 Reduce the content of heavy metals and softens the water. 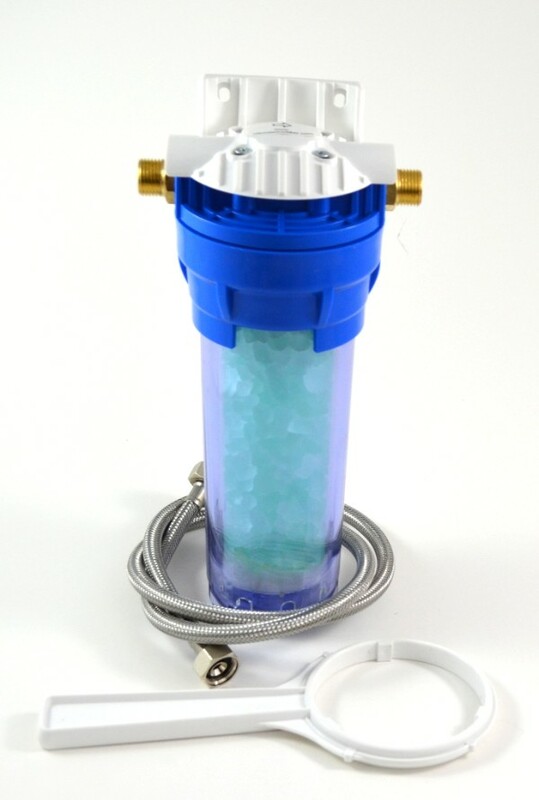 Polyfosfat filter Price 69€ A great solution to solve your lime scale problems. Euro Tap Cleaner Price 79€ Easy to install, just attach the Euro to the kitchen faucet. Capacity of the filter is 3000 liters! 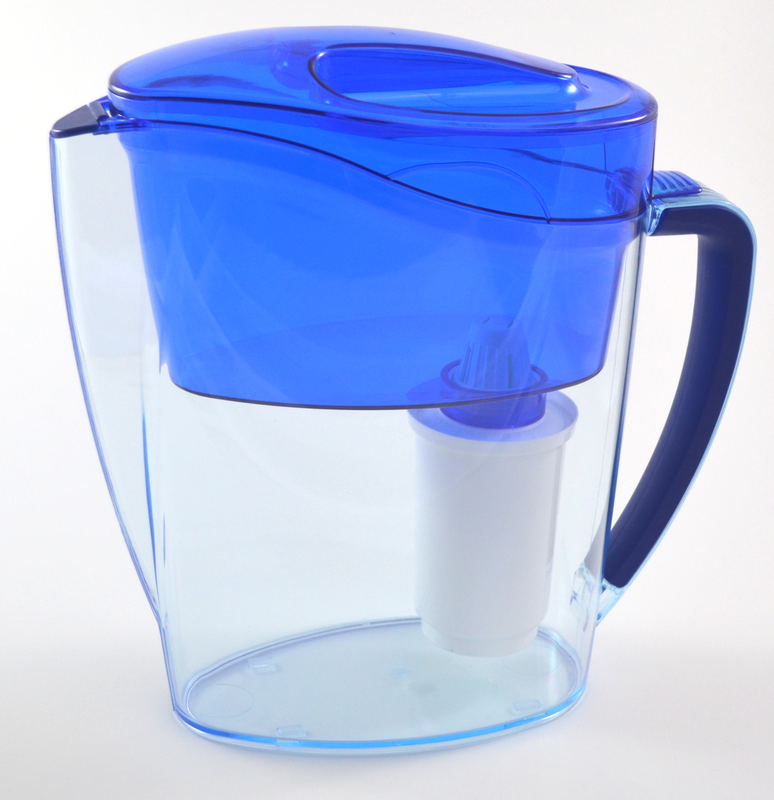 Griffon Blue Price 49€ The ideal jug to cleanse your water wherever you are. Same technique as our other purifier. G3 Price 295€ (Medium/hard water) With a 2 stage filter with a very long life span. 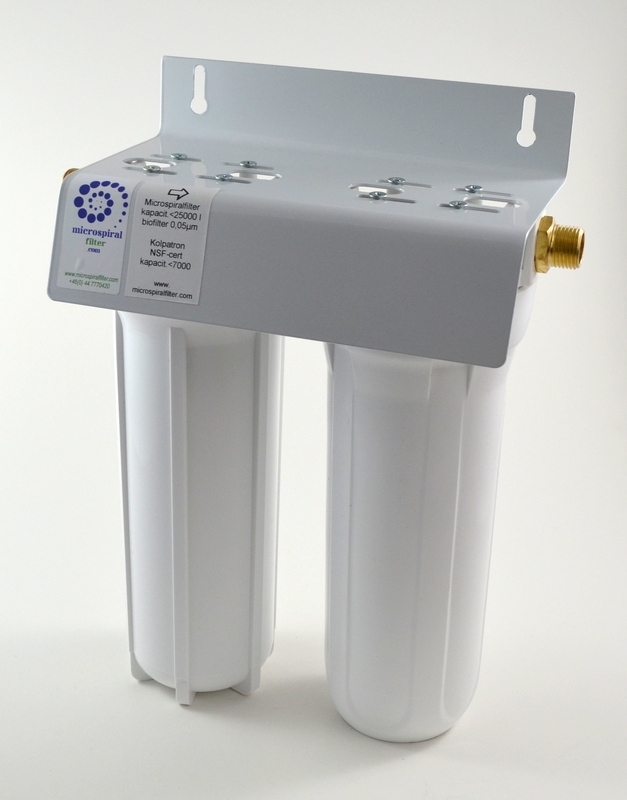 G2 Price 249€ (medium/hard water) G2 includes all necessary fixtures and fittings incl. the extra tap. 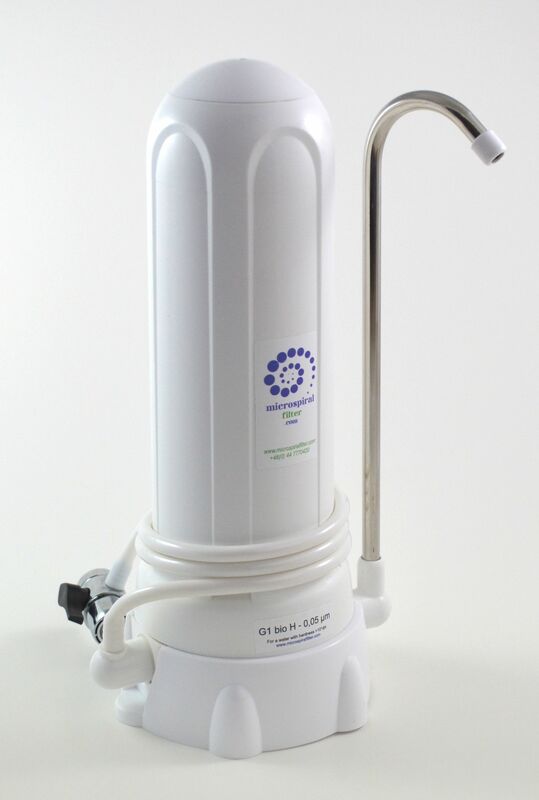 G1 Price 199€ (Medium/hard water) Advanced water purifier. Connect your G1 to the kitchen faucet. Up to 25 000 liters purified water. 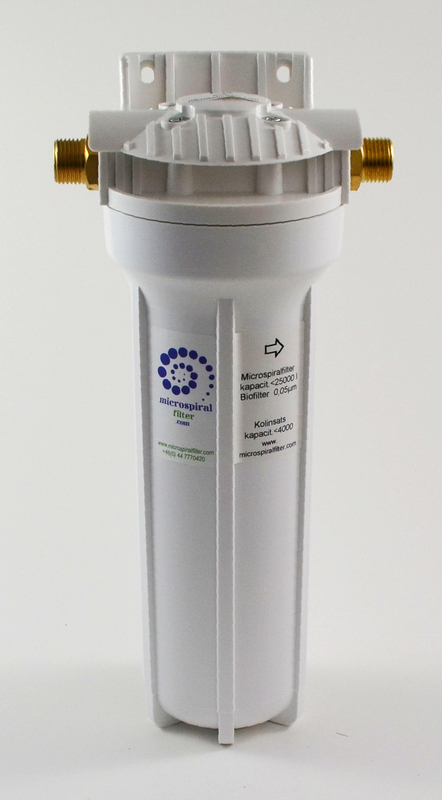 All test results and information regarding Microspiral filter, click on loggo below.